You are shopping for the foodie in your life and to impress a true gourmand, you need to look for gift baskets that stray away from the Cheez-Its and focus more on the charcuterie, fine wines and Dom Perignon. We have handpicked these five vendors because of their gourmet selections. As foodies ourselves, we were impressed with the selections of products, ranging from cheeses to meats to wines and even caviar. Let’s face it; if you know who Dean & Deluca is or you’ve shopped there, then you know that they are the epitome of fine products. When it comes to their gift baskets, Dean & Deluca has some of the finest products and most unique basket themes out there. Sure, they are pricey, but gourmet doesn’t come at budget-prices. The baskets with Dean & Deluca are definitely out of the box. Their Paella cooking gift comes with everything you need to make homemade paella and authentic ingredients. Their Italian-themed baskets come with products from Italy, including gourmet pastas. Even a few of their baskets include New York products from Soho’s infamous bakeries. If you can’t find a gift basket perfect for the foodie you’re shopping for, you can also create your own picking out fine food products, wines and more. Dean and Deluca have quite a few baskets that are eligible for free shipping and even those that aren’t come at a reasonable price. Most of their gift baskets are priced reasonably considering the quality of products they contain and you can find plenty of gift baskets for under $100. Don’t forget their monthly clubs! Dean & Deluca has monthly club options – such as their coffee of the month club – that you can give as a gift too. 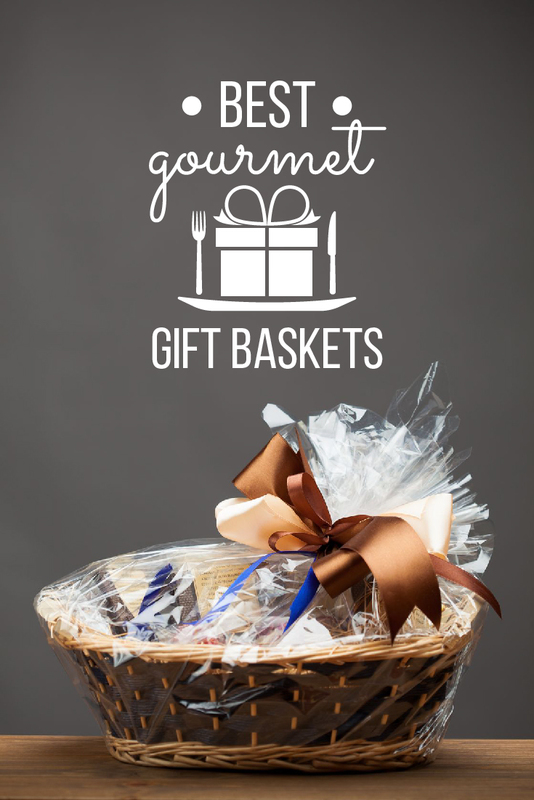 You’d be rather disappointed if you received anything but a gourmet basket when shopping at iGourmet. This retailer specializes in extraordinary foods, including ready-to-eat and premade mixes. From their uncured Italian salamis to fine bleu cheeses, spreads, meats, and even well-aged olive oils, they are the ideal place to shop for charcuterie and gourmet baskets. You can choose from their numerous categories, including luxury gift baskets that start at over $200. But, it isn’t just the quality of food that sets them apart; you also get unique packaging, such as a trunk for food finds. Their baskets can include everything from fine cheeses (complete with a cheese board and knife) to wine and champagne gift baskets. If you can’t find a basket that suits your tastes, you can also create your own gift basket on their site. You’ll start by choosing the vessel, then adding products or picking a theme to help narrow down the selections. Most of the baskets with iGourmet will start at about $75 and go upwards. A large majority of their baskets, however, come with free shipping. Check out their monthly clubs too. If you really want to impress the gourmand in your life, why not give them a gift that continues to give? iGourmet has numerous monthly clubs and exquisite gifts, including their coffee of the month club or even their chocolate of the month club. WineBasket.com takes a different approach to gifting. They feature a concierge-style service when you design your own basket or you can choose from their extensive inventory available online too. Their baskets are easily searched on their website. You can look at their full collection of wine gift baskets (which obviously from the name, they would have plenty of), but they also have baskets in their champagne category as well as beer and spirits. Most sites only offer wine, while WineBasket.com is one of the few to offer beer and spirits too. In addition to their drinkable baskets, WineBasket.com also has several occasion and sentiment-themed baskets, Kosher baskets, fruits, cheeses, coffee, chocolates, and even popcorn mixes. Their gourmet selections are impressive and feature brands that are truly “foodie” friendly. From their fruits to their fine wines and even champagnes, you won’t have difficulty finding a basket for a gourmand. Even if you can’t, you can create your own basket using their gift basket concierges – to ensure you have a basket that is designed to impress. WineBasket.com’s baskets typically range from $30 to $200, but they have some extravagant baskets for as high as $800. 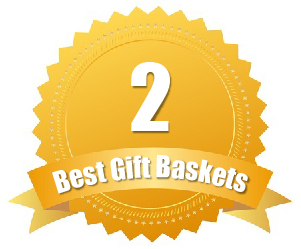 Plenty of their baskets have free shipping and some will even ship the same day. Want to save a little extra on your basket? 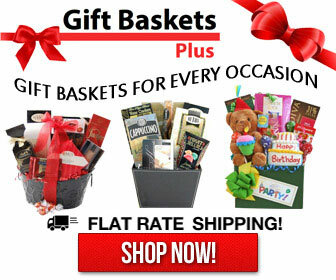 If you create an account with WineBasket.com, they will offer you extra discounts and coupon codes you can use on gift baskets – one of the few companies to offer that. When you think about something “gourmet,” you often think of Harry & David. Their gift baskets are exceptional and when you order from Harry & David, you know you will get a quality product. The gift baskets feature items like signature Harry & David fruits (including their infamous pears), roasted nuts, caramel dipping sauces, gouda cheeses and mustard dipping sauces, wines, custom relishes and even charcuterie. You can find baskets with wine, including red blends, pinot noirs and crisp whites. If you want something more shelf-stable, they still have their coffee gift baskets and chocolate gift baskets. They also have baskets specifically created for the foodie, such as their Italian-themed baskets complete with pastas, colanders, wines, cheeses and sauces. Want to impress with antipasto? They have antipasto wine pairing gift baskets, cheese assortments and artisan meat and cheese baskets (and you can add a bottle of wine to complete it all). The gourmet baskets from Harry & David cost anywhere from $60 to over $200 – but there are still a few for under $100 if you’re on a tight budget. Ground shipping starts at about $7.99 and in some cases they will have specials for free shipping. Go with a gifted club membership instead! If you cannot decide on which gourmet gift basket works best, you can always sign up your recipient with a club membership instead. These deliver gourmet items to their door each day, including chocolate of the month and coffee of the month clubs. Gift Baskets Plus features a full line of gourmet gift baskets at remarkably affordable prices. A large majority of their gourmet baskets do not feature wine – which is ideal for those that want non-alcoholic gifts or cannot ship wine products to a specific state. Their gourmet options are creative, such as their cheese and chocolate baskets. They have a snacker gift basket that comes in a wooden crate instead of a basket and features fun, unique flavors of snack products – such as BLT crackers. They also have more elegant selections, such as their faux leather baskets full of truffles, chocolates, smoked meats, nuts, brie and other fine cheeses. If you are looking for baskets that include wine, they have plenty of those too. 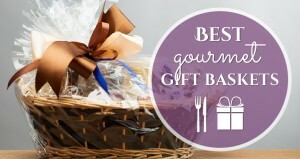 The gourmet gift baskets at Gift Baskets Plus start at under $35 and go well over $200. They do not, however, have free shipping. So, you can expect to pay for ground shipping and you will have to pay expedited shipping for anything faster than five business days. 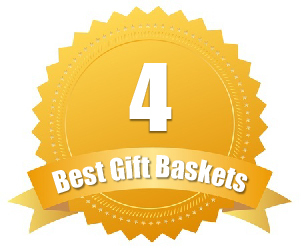 Check out the unique gift baskets section. Gift Baskets Plus has an entire category dedicated to their “unique” gift baskets. These feature everything from Godiva filled baskets to baskets just for golfers and fun snack towers.